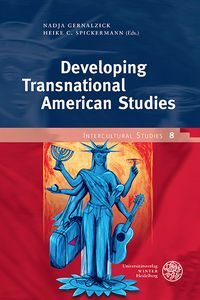 Transnational American Studies have been developed by international and internationally minded scholars to address the need for border-crossing awareness, knowledge and consciousness of difference. In a decisive change from the comparativist pattern of investigation between two or more assumed units, the transnational approach intends a further opening of cultural systems. With their transnational turn, the focus of American Studies has become relocated to increasingly international and global concerns of knowledge production and cultural transfer as well as to multi- and transnational discourses. This volume combines Transnational American Studies from diverse angles in the four general areas “Repositioning the American South”, “Life, Literature, Ecocriticism”, “Life Writing and Medicine” and “Critical Studies of the Nation”. Written by scholars disciplinarily and institutionally linked to American Studies departments mainly, the themes are, however, not restricted to American Studies as a nationally bound field, but extend and pertain to transnational and global discourses and their conceptual composition and processing.